Uno, our oldest son, is about to turn 9 in November and I was able to witness God answer ones of his prayers in a most special way. These are the stories about ministry and the Christian life that I love to hear, but when they happen to those you love it seems to hold a particularly special place in your heart. We have lived in our neighborhood for five years now and it has been very hard for us to get to know the neighbors. Beyond first introductions and conversations here and there we really only see them one time a year they get together out in the street and pop fireworks on the 4th of July. We all bring out lawn chairs and let the kids play with sparklers and watch the adult men run like wild Indians to get away from the fireworks before they go off. Even our next door neighbors with sometimes 7 children (with their foster kids) do not even go into the backyard very much. The culture here is very different from the friendly Midwest where we lived before, and it has been hard for us to connect and overcome the barriers that everyone seems to have. Last October on an especially warm day, a boy around my son’s age, whom we will call “Blake” rode his bike down by our house while our kids were riding in the cul-de-sac. 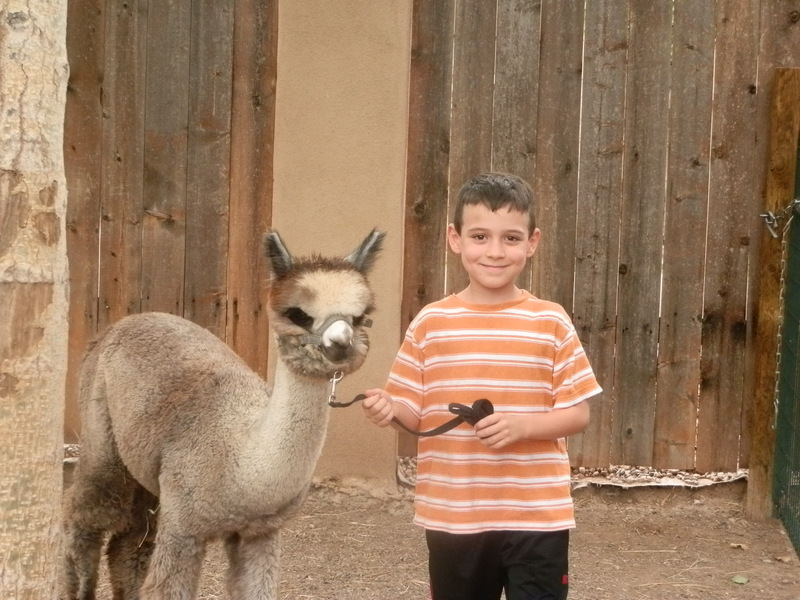 He quickly befriended Uno and they were off to racing around. He was friendly to all of us and very kind even to our younger girls. Uno has listened for years about how we need to invite friends to church, so within the first few minutes he ran inside of his own accord and picked up an invitation to our Fall Festival. When Blake returned from a trek home, he tried to give him the invitation but he said, “Oh, that’s okay, I can’t take that because we don’t go to church.” Our son did not seem phased but was secretly disappointed. I encouraged him that he had done his best and that is what that mattered to God. For several weeks we would purposely sit outside even in the chilly weather hoping that Uno could see Blake again and spend time with him. 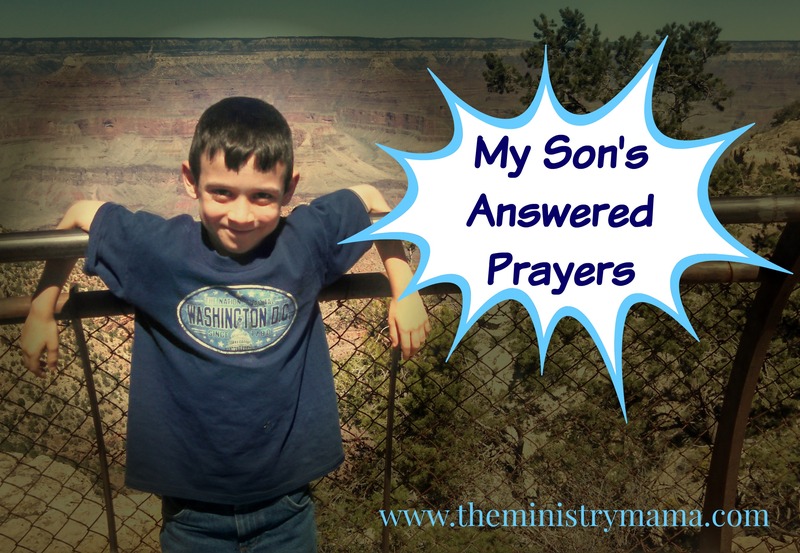 He quickly became the primary prayer request when we prayed for lost people. Our entire goal for getting to know him and his friends is for their salvation. Despite our efforts our children have not ever had visitors outside of family members come to church before. This has always made our son feel disappointed when there are big incentives at church for children who bring visitors, so he has desired this for a long time. We saw Blake several times off and on through the winter and spring and cheerfully wave to him as we drove by. His dad fixes up mini-motorized bicycles and we see their garage door open often. This summer we were able to spend a little more time with him and meet his little sister, “Briana” when we were prepping for our garage sales. I would leave our garage open and all the kids would play either in the garage or on the street. It was good for them to be over at our house for me to see how they behave. Blake and his friends are all very respectful and treat each other nicely (at least in front of me!) and that is something I appreciate. The opportunity to invite Blake to church has been difficult but Uno has never given up on him. Then, this week the answer to prayer came…unexpectedly. We had a Family Crusade this week and my son had been itching to go down the street to invite Blake and his friend Marcos. We had not taken him down prior to the beginning of the crusade, but Uno’s persistence paid off when my husband took the time to take him down the street with our guest speaker, Ed Dunlop. Bro. Ed normally does Kids’ Crusades around the country and has had experience building bus routes for churches also. He carries with him a pocket full of balloons so that he can twist them into fun things kids enjoy. His strategy is to give them away at the door so that it will give the family time to let down their guard and be open to receiving the information about the crusade as well as the gospel. I think in this case it worked! After a while, I heard Uno and Dos come in the door and instantly they said “Blake is going to ride the bus!” I think my jaw dropped and I did a double-take because that is nothing short of a miracle. In my heart I had always hoped but with the negative responses I was doubtful, which was evidence of my own little faith. That evening, we were pulling out of our driveway and I was able to witness when the bus arrived in front of Blake’s house. Blake came out and then out came his younger sister, Briana. His mom came out to greet the bus workers with a smile. The workers talked to her for a few minutes and she gave the kids a hug and they stepped onto the church bus for the very first time in their lives and then into church for the first time. In the middle of the church program Blake looked over at Uno and said, “This is really fun!” On their bus ride home, Blake was already planning to come the following night with hopes that he could bring enough visitors to win the 24 inch pizza given away every night for the person that brought the most visitors. He came the next night and brought his older sister, Brittany, and two other neighbor kids, Anna and James. On the last night all of those friends came back and Marcos too. We were amazed at God’s answers to our son’s prayers and the eager desire Blake had to bring his friends with him to church. We were not expecting the number of results from God’s Holy Spirit working in their lives. Blake’s sister Brittany, and his friends Anna and James received Christ to be their Saviour!! It took one year of prayers, invitations, some bright-colored balloons, Bible-centered messages about salvation by Bro. Ed, and friendship for these results. Uno is excited to know that in inviting one friend, three souls have been changed for eternity. These souls are the eternal rewards to which he will cherish, FOREVER. We are not done praying yet, we still have our prayers focused on Blake, Briana, and Marcos… and of course their families.